Increasingly Stringent environmental regulations continue to challenge industry. Now more than ever, environmental equipment must operate at peak efficiency and provide maximum control. Karyasiddhirecognizes this challenge and responds by offering a comprehensive range of services. Our broad range of experience and expertise in pollution control provides the necessary insight to evaluate, recommend and implement solutions to improve system performance. Wet Scrubbers are the preferred choice for many industrial application in manufacturing plants, Chemical processes and Steel making where both particulate and gas pollution has to be controlled using a single system. KARYASIDDHI offers the following services for all types of wet Scrubbers. 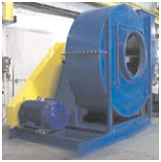 • Repairs and improvements to optimize Scrubber performance. • Study the air and liquid streams and pressure drops. • Evaluate current equipment design relative to the process and suggest solutions for improvement. • Trouble shooting specific issues. 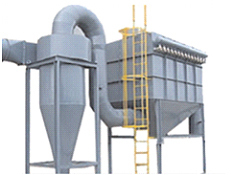 Dust Collectors forms the mainstay of air pollution control in any production process and therefore needs to be working at optimum efficiency. Recognizing the importance of this fact KARYASIDDHI offers the following services for Dust Extraction Systems. • Onsite visit and assessment of existing Bag Filters and Cyclone Separators for capacity augmentation, refurbishment or replacement. • Identify scope for performance improvements, optimization of power consumption and space saving. • Evaluation of existing Bag Filters and Cyclone Separators for present and future emission norms. 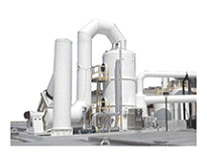 • Identify root causes for gaps in performance of existing Bag Filters and Cyclone separators and offer • solutions. • Check for blocked Filters/bags and working of Pulse Valves working. • Check for recommended levels of suction and suggest solutions. • Check for Vibration and Noise and resolve issues. • Resolve problem of High Differential Pressure. KARYASIDDHI offers a full site service including vibration analysis, dynamic balancing, bearing replacement, performance testing ,evaluation and re commissioning. Where more serious damage is identified. KARYASIDDHI offers a complete fan refurbishment service, bringing your fans back to full operating specification and dependability. Vibration and noise levels measured and controlled.